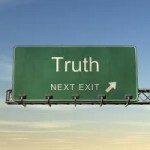 Musings on the occasional use of truth in politics. Nearly ten years ago, in the autumn of 2002, while I was flying from (I think) Chicago back to NYC, I had one of the most dramatic and disturbing conversations I ever experienced in the US. My practice over many years had been never to talk to my fellow passengers until the plane was about to land, but on this occasion it was Friday, it had been a long and hard week, and I didn’t feel like working any more. I settled back in my seat with a glass of red wine, my neighbour ordered a scotch, and since he seemed an affable sort of guy, after 30 minutes or so, we started talking. As you do, we exchanged information about what we had been doing that day, and who we worked for. It turned out he was a very senior campaign official for the re-election campaign of George Pataki, the then Governor of New York state. 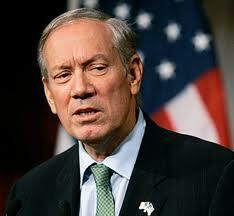 That year Pataki, a Republican, was running against Democrat Carl McCall (the former State Comptroller) and the race had turned very nasty. Indeed, while exercising in the corporate gym earlier in the week, I had been struck by the fact that almost every TV ad was a mean-spirited attack in the most virulent terms on one or other of the contestants. I mentioned this to my companion, and he said, yes, but sadly it was a sign of the times, and of course the Democrat was an SOB or words to that effect. I said that in the UK, this level of invective would be illegal, as the party political adverts allowed on television in elections were strictly controlled in number, content, and duration, and appeared on the terrestrial channels only. As a result, while no-one could stop politicians lying, it didn’t get out of hand, at least via TV ads. His reply, while alluding to the trivial and unsophisticated ways of UK politics, also termed the BBC as a socialist, in fact actually communist news organization, so this limit was unsurprising to him. Slightly stung, and possibly emboldened by the wine, I started down the line of argument that was to end so interestingly and so badly. 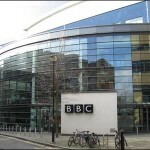 The BBC, I argued, was some distance from being communist, and at that time was under sustained attack from the Blair government for it’s alleged bias to the Conservative opposition. 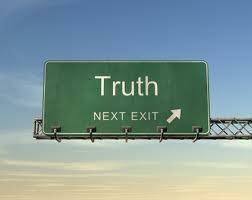 Moreover, it was committed to telling the truth as far as was possible, and had done so since it’s origins. In fact, it had been the BBC that had recently discovered the black voter registration manipulation in Florida that most likely won Bush the election. 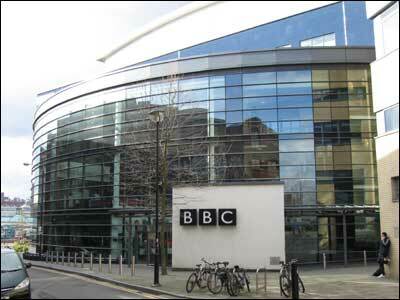 No US broadcast news organization had covered this until the BBC did. We were now in the process of landing at La Guardia. The conversation was interrupted as drinks were collected, but after the plane had landed and we were taxiing towards the jet-bridge, we briefly returned to the subject. My companion allowed as the BBC might have been correct in that case, but that it was of no consequence. Why I asked, and in the last reasoned thing he said to me, he mused that in politics, the truth was only one of the possible narratives that could or should be used. Who knew, he said, what the truth was anyway – one man’s truth was another man’s lie, and in the end it was all about how effective the story was. In short, the truth was only one of the options in a political message. This from a senior republican official the night of a gubernatorial election. Startled even more by this insight into his views, I said “that sounds like something Goebbels might have said”. While I have no regrets about what I said, I was totally unprepared for his response. Jumping to his feet, he screamed at me from his inconsiderable height (he was not a tall man), F**K YOU!! F**K You! I lost people in Auschwitz! F*CK YOU for saying that! And he continued screaming at me while the plane came to a halt. This certainly got the attention of the rest of the people in first class. All they knew of our little chat was the shock of this small, burly, aggressive, and as it turned out, Jewish man, screaming abuse at me, while I sat open mouthed and goggle-eyed looking up at him. This was not the most embarrassing moment I have had on a plane, but it’s certainly right up there in the top 5. To my surprise, instead lynching me, the other passengers told my accuser to shut up for the sake of the women and children on board, but it certainly made for an interesting exit. We didn’t continue our little chat, and it’s fair to say we didn’t part on the best of terms. But it’s a conversation that resonates with me still, not only for its immediate impact, but also because of what it said then and now, about the use of the truth in US politics, and indeed all areas of public discourse. 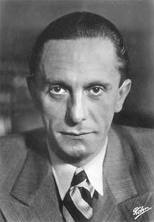 Goebbels said a lot more as you can find from the above link, and he was important and diabolical because he was the first person to systematically define and document the art of deceiving the broad mass of the population in the modern communications era. 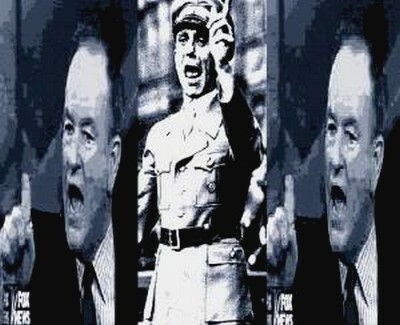 The picture at the beginning of this post is of course of Goebbels alone, but in the image on the left he is sandwiched between images of Bill O’Reilly, the polemic Fox News commentator, to whom the truth is also only an occasional visitor. 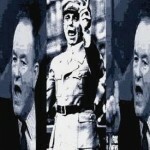 O’Reilly invoked Goebbels in 2004 in an invective against Al Franken, the Jewish radio host and later Democrat senator, and in fact frequently accuses Democrats and others of Goebbels-like behavior. So if it’s OK for O’Reilly and Fox news, it’s OK for me, and I will continue to explore how the spirit and methods of Goebbels are being used by his heirs in future posts. I have many examples stacked up, but I wanted to get this anecdote off my chest so I could put the rest in context. I will also, as I am reminded of it, recount the most embarrassing moment in a plane of my many years traveling. But that must wait for another day.